Quick Links: EBC Brake kit for Tacomas Help identifying plug under dash Need help identifying HID/Xenon headlight replacement HeadLight Restore U Joint Grease Fair price for a '15 TRD Pro w/ blower? Discussion in '2nd Gen. Tacomas (2005-2015)' started by smokedtaco007, Sep 30, 2010.
anyone know how much a roll pan costs?? Lowered 3/4, debadged, led tails, projector headlights with hids, billet grill, blacked out windows, painted front and rear bumper and grill shell. Inside, 4 crappy 15's, suede wrapped headliner and door panel inserts, alpine double din, few painted pieces inside, and every led is either blue or white. That's one low riding truck. 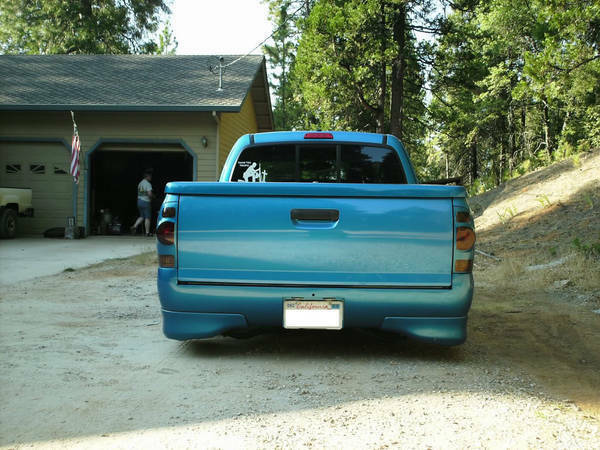 Hi there, have you bought a rollpan for your tacoma already? There are lots of sites on the net and there's also different material types like fiberglass or stainless steel. 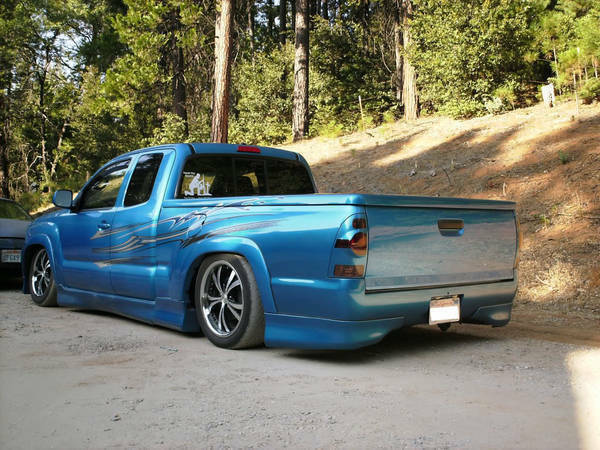 I think it's main purpose is to accentuate the lowered truck's rear. Do you have any pictures black09? Or maybe you could start a new thread on your build? NaYoung What about my Member??? X 2. Not a fan at all. x3, although (referring to blue one above) it wouldnt be as bad if the extra body kit wasn't on there. That killed it. how the hell do you go over a speed bump? what extra body kit? are you talking about the stock XRunner body kit? cuz thats STOCK on XRunners if you haven't noticed. 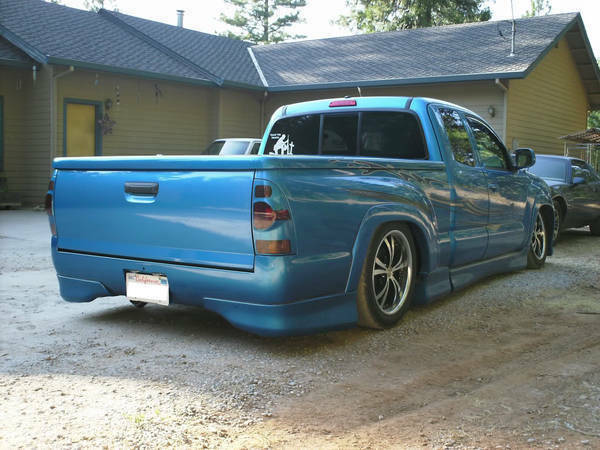 blue truck is bagged. meaning the ride height is adjustable. if your static, you go over them slow and/or at an angle.